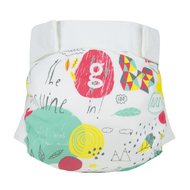 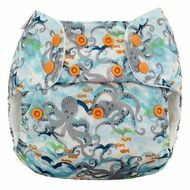 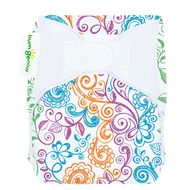 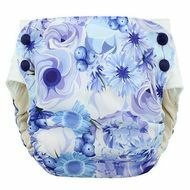 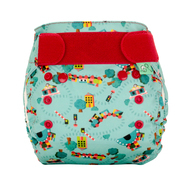 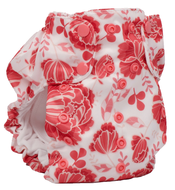 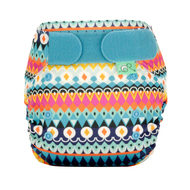 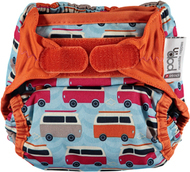 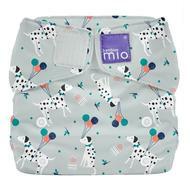 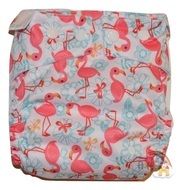 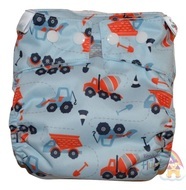 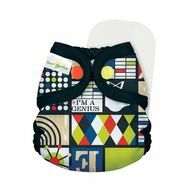 All-in-one nappies are re-usable cloth nappies with a waterproof outer and sewn-in absorbent inner. 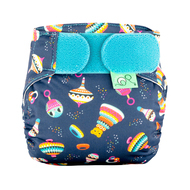 A complete nappy system. 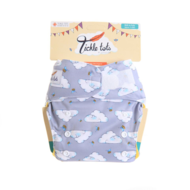 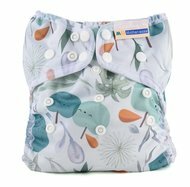 All-in-two nappies are similar to All-in-ones, only the absorbent pads lie on the top inside the nappy(or are snapped-in), and are removable for ease of washing. 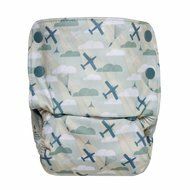 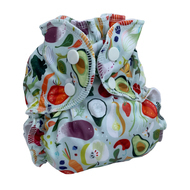 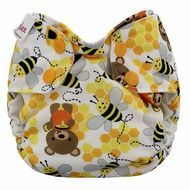 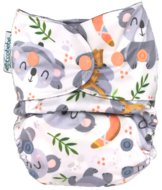 Hybrid nappy systems have an outer nappy shell (wrap), and can be used with a variety of different inserts from reusable to disposable. 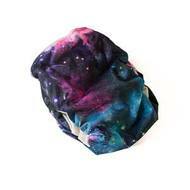 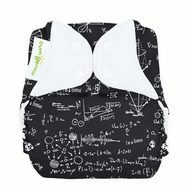 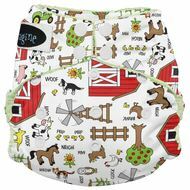 They can come in either one size/birth to potty, or in various sizes from XS/newborn to XL. 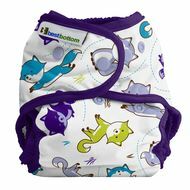 Most are fastened with applix or poppers.